Here’s a real head-scratcher for you: I was mulling over some news the other day when I came across a story about a town called Hyannis in Nebraska. Grant County, where it’s located, was one of President Donald Trump’s biggest supporters in the election—more than 93% of voters in the county picked him over Hillary Clinton to lead the country. But here’s the catch: Grant’s also got the distinction of being the county with the highest number of Obamacare enrollees in the country. 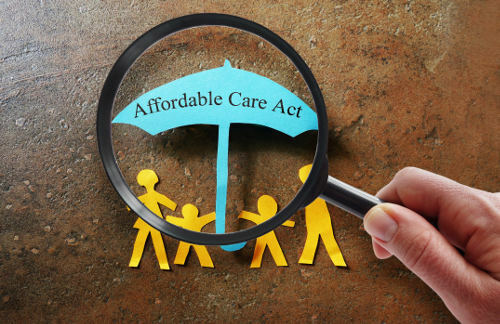 In fact, one in three residents in Grant County is covered under Obamacare, officially known as the Affordable Care Act (ACA), compared to just one in 20 nationwide. Obamacare to Be Repealed by Trump? In a brief publicity move on Inauguration Day, Trump signed an executive order to begin repealing the ACA. Now, it doesn’t have any legislative clout, and any legal changes to the ACA would take years to be enforced—so the people of Hyannis can take a deep breath. But although his order can’t change the law, it might have a significant impact on you if you’re one of the 20 million ACA enrollees. Even if you’re not an enrollee, you may still be affected. Trump and the Republicans have yet to present an alternative plan to the ACA, yet it’s believed they’d like to deregulate insurers so that costs would fall for insurance companies, healthcare providers, and businesses in the healthcare industry. Nowhere does the order indicate how costs may be kept lower for customers or patients, like you. The executive order basically charges governmental agencies to find ways to minimize costs associated with the ACA, and to perhaps waive—or at least lower—the penalty tax Americans must currently pay if they don’t have health insurance coverage. It also looks to change the structure of the ACA by giving states more control and room to maneuver and allowing insurance policies to be sold across state lines, which is currently not prohibited under the ACA. Pro Tip: Keep Your Receipts! Trump does plan to repeal the law, but that can’t be done anytime soon, and it likely won’t be completed until an adequate replacement is established and approved. As far as things go for you, I’d suggest keeping track of individual insurance policies and doing your best to stay as healthy as possible with diet and exercise. A healthy diet and exercise can’t prevent all illness, but they can reduce the risk for things like heart disease and type 2 diabetes, which can help keep medical expenses in check. Health insurance might not seem important to you right now, and you may even have a hard time covering the monthly expense. Heck, you might even hate the idea of government regulation. But I’ve read countless letters from people who can’t afford healthcare costs, especially when they’re older. These expenses drive people out of their homes and put unmanageable burdens on families across the country. There’s no doubt in my mind that, regardless of your current health, you will need insurance at some point. Everybody gets sick, and when it happens, the costs of care can be very expensive. The ACA is considered lifesaving by many people; if it’s repealed, please ensure you acquire coverage somehow and push local politicians to fight on behalf of your health. Big Insurers Pulling Out of “Obamacare:” Can the Healthcare Program Survive?